This year’s guest speaker at the prestigious Meat Management Industry Awards Dinner on 20th May will be the popular TV celebrity, broadcaster and writer Gyles Brandreth. 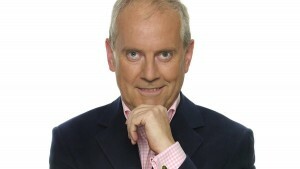 Brandreth has appeared on Countdown more than 300 times in Dictionary Corner, making more appearances than any other guest. He is a regular contributor to BBC1’s The One Show and has appeared in dozens of TV programmes over the years as a presenter and guest. The television personality, who has written a number of books and is also a former MP, will be co-hosting the upcoming awards event on 20th May 2016. This coming year, the popular and prestigious black tie Awards Dinner, a highlight of the industry calendar, will take place at The London Hilton Hotel on Park Lane. Around 500 guests are expected to attend. There are 19 awards categories, including the brand new Best Free-From Product. The deadline for voting and product nominations is 26th February. For more information on entering, click here. You can book your table now by contacting Emma Cash on emma.c@yandellmedia.com or by clicking here.